The National Cyber Security Centre (NCSC) was founded in 2011 and is an operational arm of the Department of Communications, Climate Action and Environment (DCCAE). The NCSC is responsible for advising and informing Government IT and Critical National Infrastructure providers of current threats and vulnerabilities associated with network information security. The main roles of the NCSC are to lead in the management of major cyber security incidents across government, provide guidance and advice to citizens and businesses on major cyber security incidents, and develop strong international relationships in the global cyber security community for the purposes of information sharing. In the period since 2011, the unit has focused its efforts on building capacity and establishing a stable base for its operational work. The NCSC encompasses the State’s National/Governmental Computer Security Incident Response Team (CSIRT-IE). CSIRT-IE is an internationally accredited response team with its main function being the enhancement of situational awareness for constituents and for the provision of incident response for national cyber security incidents. CSIRT-IE has initially focused on the State sector and acts as a national point of contact for all cyber security matters concerning Ireland. NCSC will never request detailed personal or system information by email and/or phone. Please see our Data Privacy Notice and Statement. As a society, we have benefitted hugely from internet based technologies; however this reliance brings with it a number of new vulnerabilities and risks, each posing some challenging questions for Government and for society. The 2015 National Cyber Security Strategy established an initial set of measures, and has led to the ongoing development of the National Cyber Security Centre and new legislatively based approach to the protection of critical national infrastructure. However, the challenges for policy are such that continued evolution is critical; the next National Cyber Security Strategy marks an opportunity to adapt and implement national policy responses across Government to meet these emerging challenges. This public consultation includes 10 specific questions, seeking responses and ideas as to how the State can respond to all of these issues – both threats and opportunities. 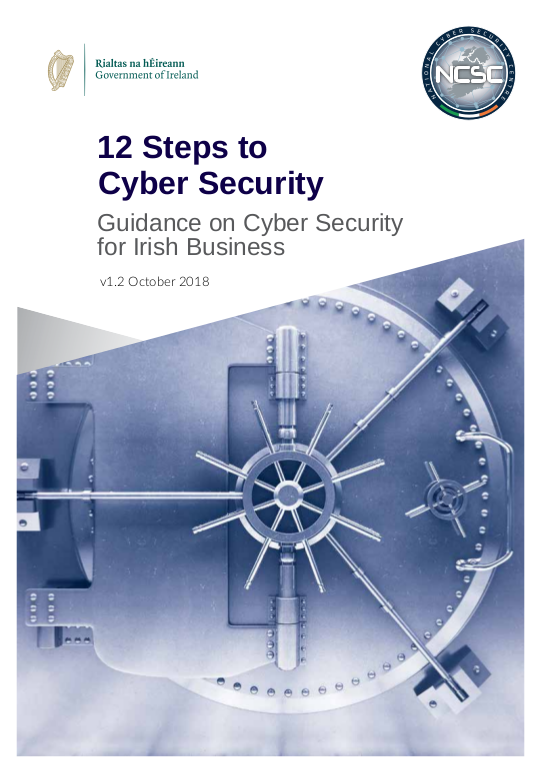 The key themes selected to shape our strategic approach to Cyber Security in Ireland are 'Protect', 'Develop' and 'Engage' and the 10 questions are organised as such. Any person or organisation can make a representation in relation to the draft consultation document. Interested parties have 30 working days to make their submission. These representations will be considered before the final version of the Strategy is published and comes into operation.